Four legends of the game have been inducted into the World Rugby Hall of Fame presented by Tudor at a special ceremony in Rugby, England. 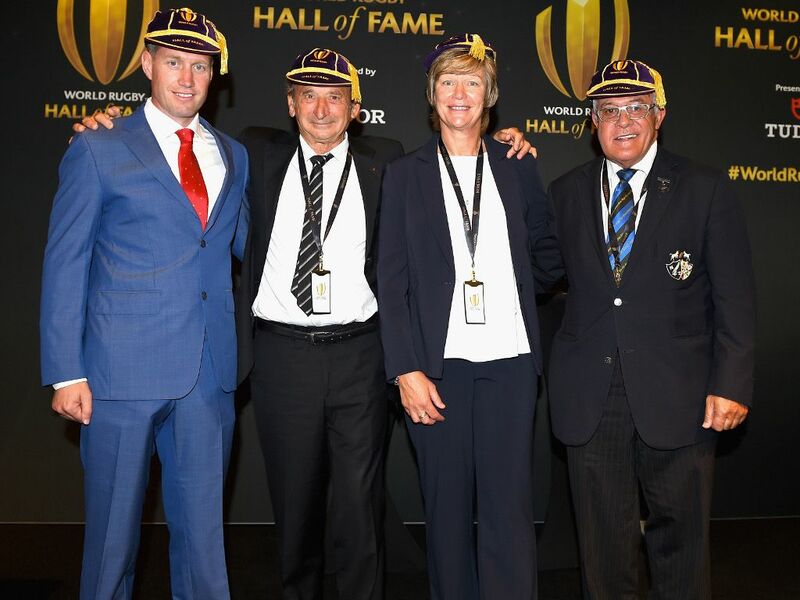 Ronan O’Gara, Pierre Verillepreux, Sir Bryan Williams and Liza Burgess received their honours at the state-of-the-art physical home of the Hall of Fame, which celebrates the inspirational journey of the game from its humble origins to its global present, played by millions of men, women and children. The Hall of Fame recognises those who have made an outstanding contribution to the game of rugby throughout their careers, while also demonstrating rugby’s character-building values of integrity, passion, solidarity, discipline and respect. World Rugby Vice-Chairman Agustin Pichot who attended the induction ceremony said: “Being inducted to the World Rugby Hall of Fame is a very special moment in any players career and all of today’s inductees should be very proud of this achievement. Former Wales international Burgess said: ‘It is a huge honour and privilege to be inducted into the Rugby Hall of Fame. I feel incredibly humbled and proud and would like thank everyone throughout my career who has contributed to this’.